Bonita Springs, December 28th, 2017—Home builder, Frey & Son Homes announces that a new home in Bonita Springs is now available for occupancy. 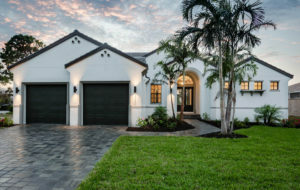 For the past 46 years, Frey & Son Homes has been building spectacular homes in Cape Coral, Marco Island and across Southwest Florida, making them one of the most well-known and respected builders in the area. Located at 27293 J C Lane in Bonita Springs, this three-bedroom, two-bathroom Key Biscayne model offers a designer pool, granite counters, wood cabinetry and a three-car double stack garage with an epoxy finish floor. Other fantastic features include high impact low-e windows, tiled roof, crown molding, stainless steel appliances and porcelain tile in the living and wet areas. With a fabulous location on a Gulf access canal, leading to the Imperial River and Estero Bay, this home is a must-see for interested buyers. This property is priced at $589,900. Frey & Son Homes (www.freyandson.com) is among the top luxury home builders in the country, ensuring that each of their homes is built with a quality that will last for generations. Utilizing the finest materials, superior workmanship and top-level customer service, Frey & Son Homes prides itself on reputation and perfection. Barry Frey, President of Frey & Son speaks about this beautiful Bonita property. “The location of this home is fantastic. Located on a Gulf access canal makes this home stand out and we look forward to showing this property to potential buyers. Not only do you get a beautiful home, you can rest assured that it is built with quality from a company that has been trusted with over 5000 homes in Southwest Florida,” he says.